Philosophy – Chris Moore, interior Design, custom home interiors. © 2017 Chris Moore Interior Design. All rights reserved. I believe that interior design is a collaboration between the designer, client, architect and contractor. 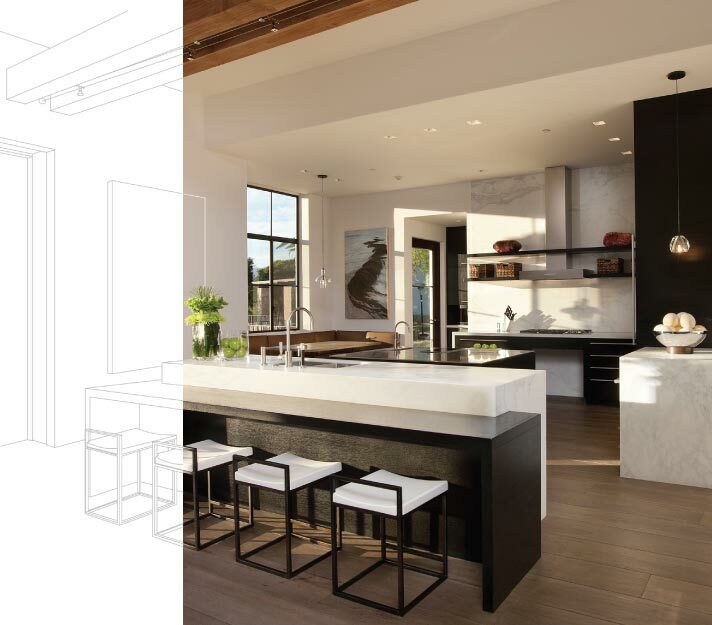 Specializing in residential design for new custom homes or large remodels, I work closely with the architects from the earliest stages of each project to insure that the architectural vision is reflected with taste and sophistication in the interior spaces. I strive to creatively translate the needs and desires of my clients into designs appropriate to their lifestyles. Attention to detail is foremost in each design. I provide detailed drawings for the contractor, architect, and my clients as well, believing that thorough communication is the key to a successful project.